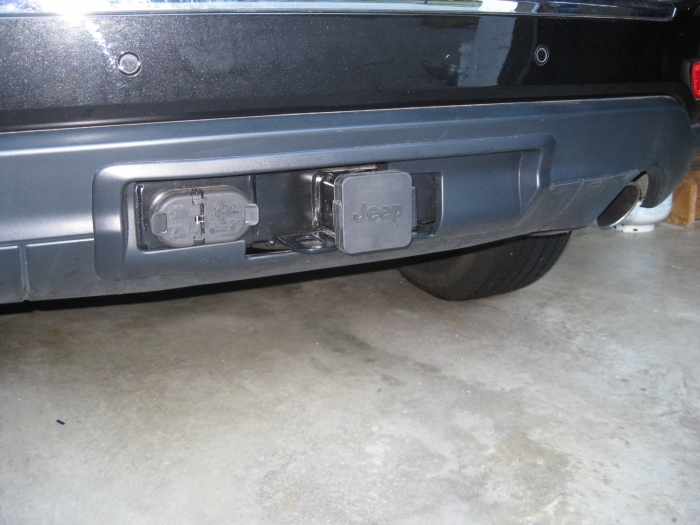 Enhance the towing capacity of your Jeep with a Mopar Trailer Hitch Receiver available at JustforJeeps.com. 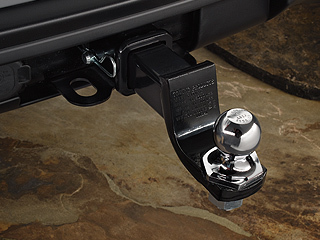 The Trailer Hitch Receiver has added strength over receivers with multiple-piece designs because it's assembled as a welded, one-piece receiver. It is covered with an E-coated paint finish in two layers, so it's made to repel rust. 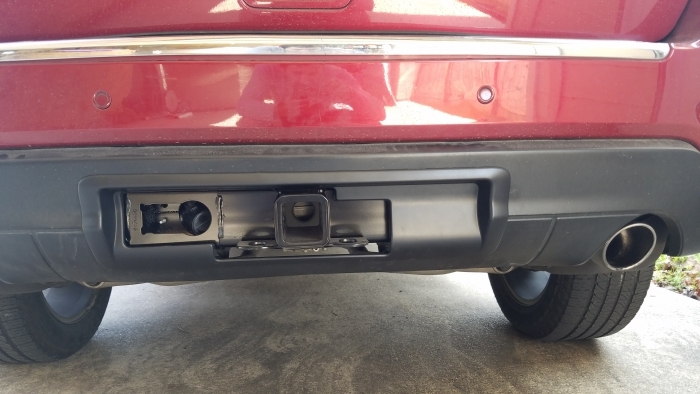 Compatible with Jeep Grand Cherokees from model year 2011 on, the trailer hitch receiver will not disappoint with its level of strength or durability. 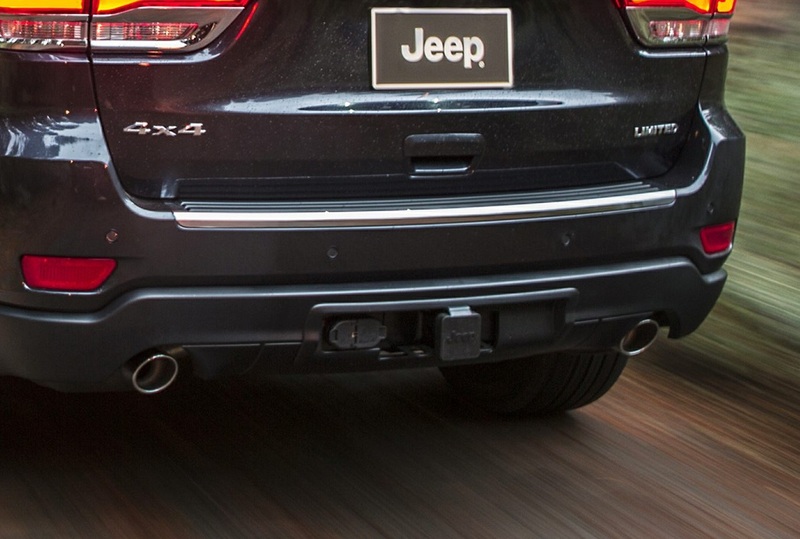 Check the owner's manual of your Jeep to make sure not to exceed its rated towing capacity. Class IV Trailer Hitch-OE Hitch in Kit includes bezel. 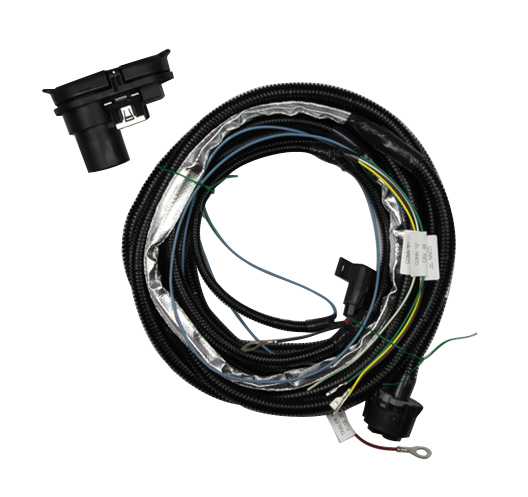 For wiring harness please see Accessories tab above. 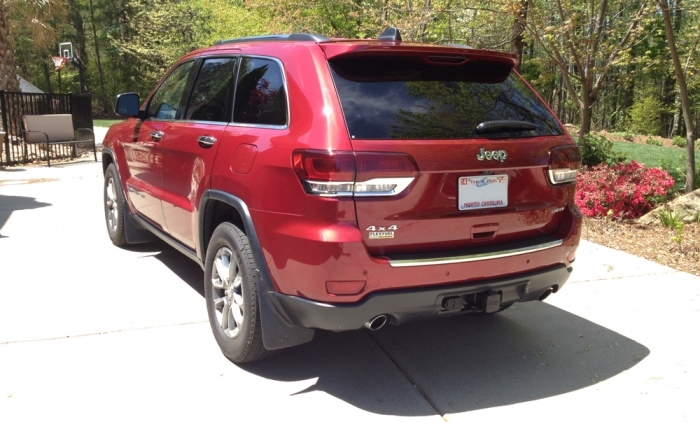 SRT8 models also require 68157472AA trim bezel, sold separately, see Accessories tab above. Looks great, and not too hard to install. It's a pretty easy install as long as you have a good assortment of small metric wrenches and/or sockets. Specifically it takes 7mm, 8mm, and 10mm as I recall. The hardest part is getting the trim off the edge of the wheel wells, and I couldn't find a better solution than to carefully pull straight out. Taking a sawzall to the bumper of your brand new car is certainly unnerving, but I've done two of these now with no problems at all. Just go slow and be careful. ProsLooks great, and you get a professional-looking install. 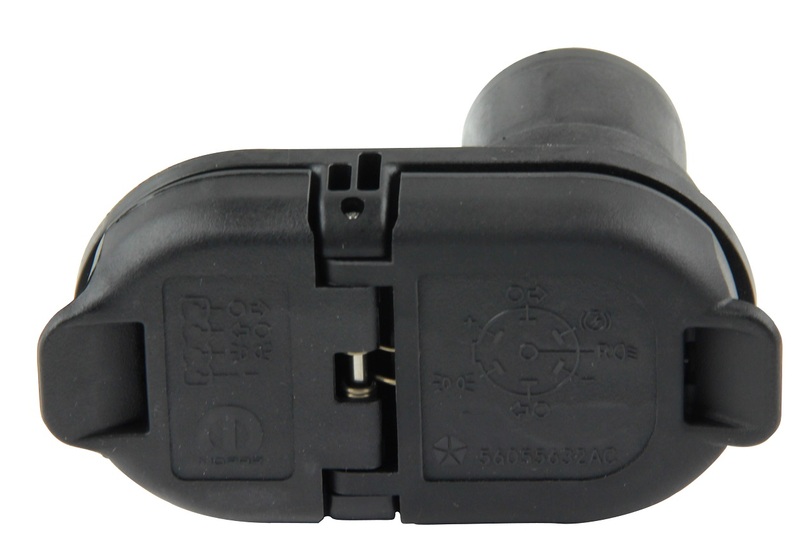 This model has both the 7-pin round and the 4-pin flat connectors, which means no more adapters to lose. ConsTaking the trim off the wheel well is hard. This was a fairly straight forward upgrade and really helps if you have a router of some sort to make cutting the plastic part out easier. The directions were spot on and I really only needed to buy a torque wrench. I had all the other tools from other upgrades to my jeep but I wanted to make sure I got these bolts tightened to spec since I would be towing my jet skis. My jeep had the wire connections pre run so I only needed the plug to bring it all together. I also bought a jeep branded hitch cover to finish it off. Fits perfectly, as it should. The included instructions are adequate, and there are plenty of videos online for roving the rear fascia if there are questions. The entire installation took just over 1hr without any assistance. Highly recommend a Dremel or.similar for cutting out the OEM bumper. Nice kit for a good price. Instructions lack, you'll have to cut more holes in your rear valance than it says, but thats a mopar fault not on J4J. Shipment received on time and in great quality. Outstanding customer service including follow up help with Installation. Just to be clear, this does not include the trailer hitch plug. Great product and really easy to install. I used a rotozip, which i highly recommend for cutting your bumper. 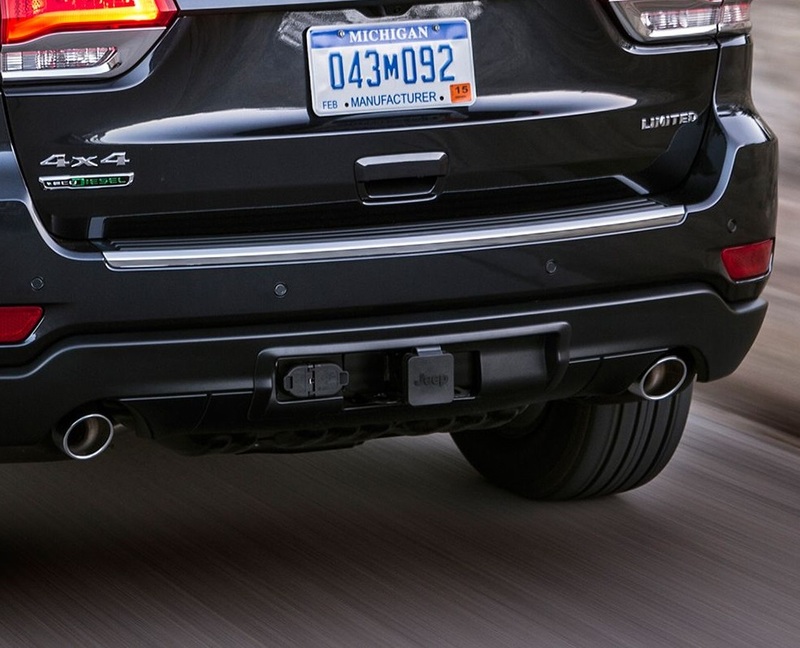 Easily add a receiver hitch to your Grand Cherokee and it comes with the trim bezel. Wiring plug is sold separately as well as the ball mount and hitch ball. This hitch was great and pretty easy to install. Took 2 of us about 2.5 hours. Instructions were quite good but could be made better with clearer instructions on how to remove wheel arch trim and how the fender clicks into the rear. You tube helped. What you don�€™t realize before you start is the template for cutting your bumper is already pre marked made life really easy and more reassuring. My son and I installed this in just a few hours. Like others have noted, pulling off the wheel well molding was the most difficult part. I also took longer than I should cutting out the holes in the rear bumper trim because I made the holes too small the first time, making it too difficult to install the cover plate. There's also a minor mistake in the instructions but it will take you 5 seconds to figure this out and move on so don't sweat it. Also, I found that my rivet gun is too small and my local auto and home parts stores didn't have the proper tool, so I never re-installed the plastic rivets on the wheel well trim--one day maybe I'll get around to it. But once you're done (2-3 hrs? ), you'll have a beautiful factory-look OEM rear trailer hitch. Highly recommend. ConsMinor error in instructions (not Just for Jeep's fault) from Mopar. With the help of 2 peoples, we need two hours to install the hitch. The manual is very helpful. Thank you! 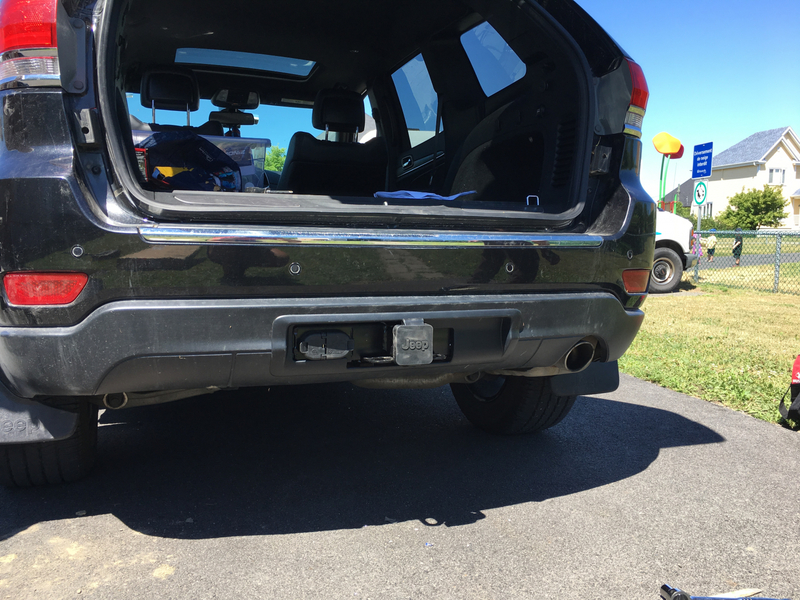 This hitch receiver is so easy to install. It took me and my dad about two hours. 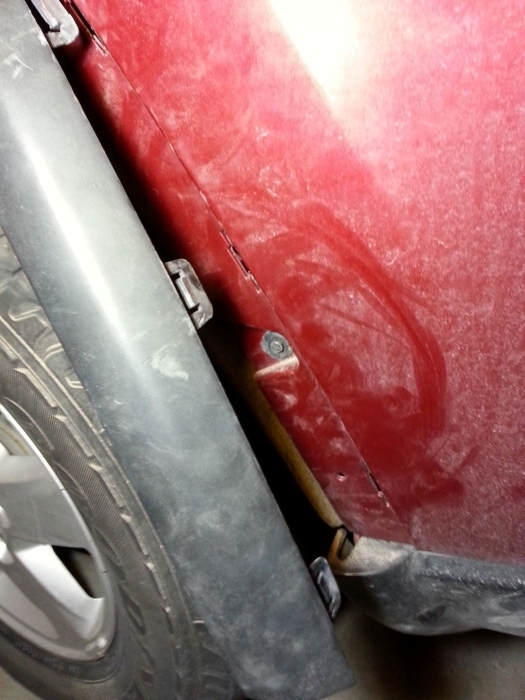 We used a Dremel tool to cut the bumper and that worked great. The Hitch Connector clips perfectly onto the receiver. 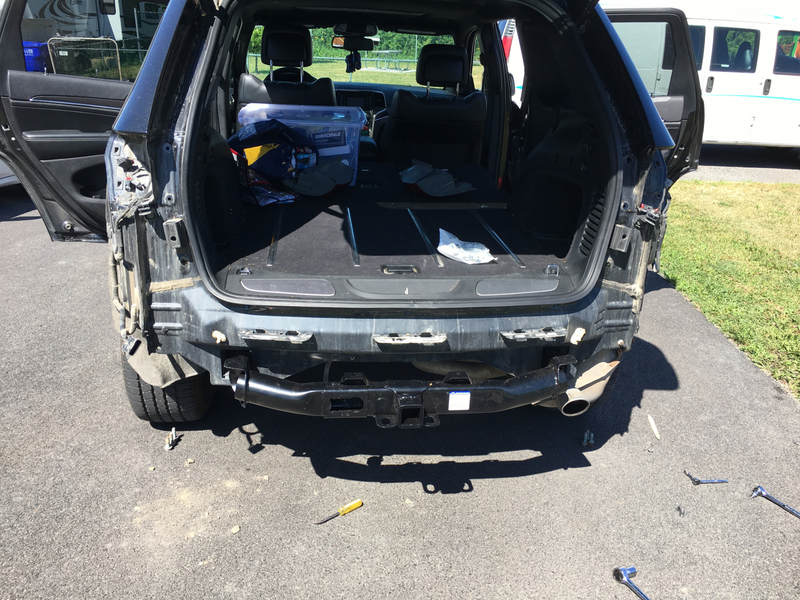 The hardest part of the whole process was taking the bumper off. It looks like the jeep came from the factory with the hitch once installed. 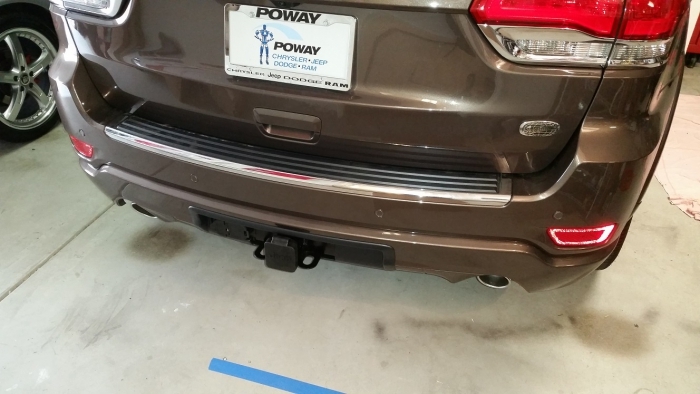 This is a great hitch, and it is easy to install. I installed it myself, and it only took about two hours. Nobody could tell that my Jeep didn't come with it. It looks factory. I was impressed with this product. The instructions (and yes, I read them) couldn�€™t have been any easier to understand. It�€™s almost like a real person wrote them. The installation was straight forward and only took about two hours in my driveway. 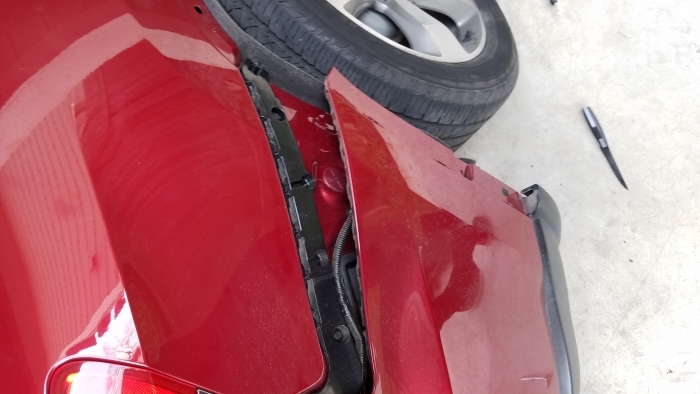 I recommend separating the bottom half of the rear fascia from the top so you don�€™t have to worry about scratching your paint when cutting the hole out. ProsVery heavily built. Adds a recovery point on the rear of the Jeep. Looks very nice compared to other hitches that hang below the bumper. ConsHaving to pay the dealership to turn on trailer light functions. the product was just as advertised and the instructions were to the point, took me less then 2 hours from start to finish. 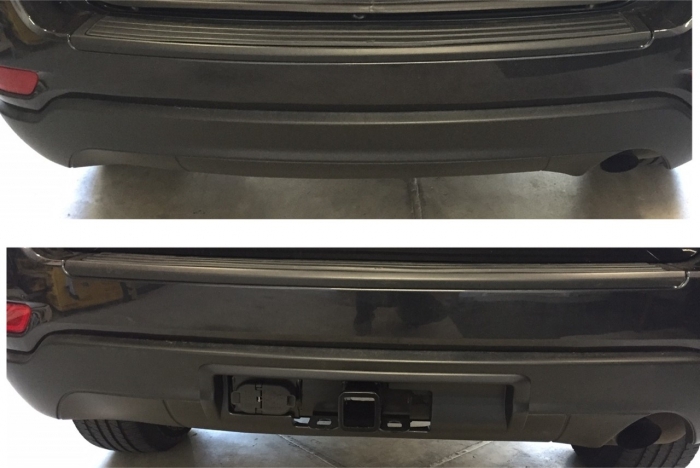 The dealer quoted $1450.00 to install a tow package because they stated they have to fabricated the bumper to accept the tow package! The bumber once I removed it already had the areas to drill and cut and the Bezel went in so smooth and looks professional..
ProsLooks great and easy to install, directions are easy to follow and absolutely correct. Before and after photo enclosed.. This is a heavy duty piece of kit. The hitch receiver arrived well packaged and within the expected timeframe. All required bits were included, and the instructions were fairly accurate, except for the minor cut-out diagram identified in earlier reviews. Removal of the bumper cover is a much bigger deal in your imagination than it is in reality; took less than 30 minutes and easy enough to do. Wheel arch trim pulls straight out starting at the bottom. Forward triangular tip of the cover is hooked on a small plastic nub; look just inside forward edge before pulling off cover to be sure this it is pressed over/out from this. The old bumper was unbolted and the new receiver bolted on in another 20 min or so. The hardest part by far is cutting the space in the bumper cover for the bezel. I tried four methods, finding a combination of Dremel and utility blade to work best. It can be slow going. You must also be careful if/when cutting from the outside; my blade slipped once and carried a long cut just outside of the area covered by the bezel. Fortunately not noticeable when mounted in place, but the risk of scratching the bumper cover is there (body paint on Overland). Follow the indented lines on the inside very closely and the bezel will pop on fairly easily and look flush. Final fit and function is OEM. Dealer reflashed my ECU (prior to installation, in fact) and it works as expected. I completed installation in about 5 hours, not at all in a rush. Required a few tools that were listed. Although taking the wheel well trim off was not easy, as long as your are comfortable taking apart your car, it's an easy project. ProsAll necessary parts are included. ConsYou really have to pull at the wheel well trim to take it off, and definitely start from the top. This caused me a small broken flange, not noticeable. See pictures. Also the dremel I purchased was useless. I ended up using my drill and a sharp steak knife. Worked just fine and the bezel covers up any imperfections on the cut. Don't waste too much time ensuring a perfect cut. Relatively easy installation as long as you have patience. End product looks exactly like production Jeep towing package. Very high quality product and great company to do business with! Headline says it all. Installation was strait forward. ConsHave to pay a Dealership $80 to $100 to activate your trailer light plug. 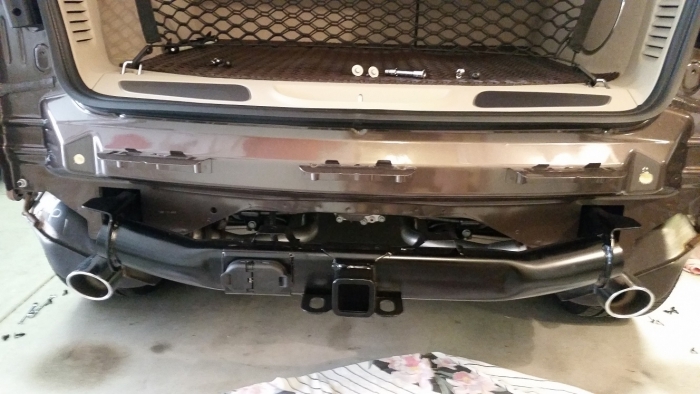 Great quality hitch and fairly easy install after watching a couple YouTube videos on how to remove the bumper. ConsDoes not come with plug needed to use the hitch and cost is slightly high if that isn't included. Four Rednecks and an "old woman"! Excellent Product, easy installation. Seriously four young teenage boys and a sixty year old woman disassembled and installed in about three hours! Follow the instruction and read other reviews. No need for me to repeat what has been written. My dealer wanted $2000.00!! We negotiated an installed hitch when we purchased. See photos!! My local dealer offered the receiver for the same price, but they wanted four hours for labor, which comes out to over $400. For the Grand Cherokee you will still need to have your dealer activate the wiring harness, which will cost you an hour of labor. The wiring harness is already installed on the GC, so no need to buy a wiring harness. A few hours on a Saturday was all I needed for this job. The installation of the actual receiver was a piece of cake. You're just replacing six screws with eight. You'll need some determination and a bit of patience when disassembling the facia and cutting out the hole for the bezel. The bumper facia comes off as one big section and is secured with a combination of screw and rivets, so make sure you have the tool to replace the rivets. Don't be nervous about removing such a huge part of your car, it's designed for easy assembly. The inside of the facia is clearly marked for cutting out the opening and if you stay on the lines, the bezel will fit very nicely. I would not recommend using a utility knife unless you have a very steady hand because the plastic is a bit thick and the whole piece is cumbersome. I used a Dremel tool which worked very well, but it will melt the shavings so be patient in clearing away the excess, they will burn your fingers. This is a good job for the utility knife, after the shavings cool. Don't forget your eye protection. Also, use a work bench and place the whole facia on a towel to avoid making scratches on the outside of your facia. ProsInstallation of the actual receiver was very easy, and it was a perfect fit. ConsThe prep work of the bumper facia may be challenging, but this is not a reflection of the receiver, but more a product of the overall job. Final product came out like it was done at the factory. Takes time, but not all that difficult. The instructions are slightly off for the bezel piece- pay attention to where the tab cut-outs go, it shows 2 on the bottom, vertically, but they are actually around on the horizontal portion. This has been mentioned before, but didn't make a whole lot of sense until I did it myself. Otherwise, follow the instructions. Easier to cut the bumper than I thought. Great product. ProsInstructions are thorough and step by step. ConsThe instructions have a minor error in them. Don't go to Amazon! All my questions were answered and I received the hitch in 2-3 days. Great company, friendly service! I ordered it on a Tuesday and I had it by Friday morning so I could install it and have it for the weekend! Fun project, low stress. Make sure you have a POM or Poly/Plastic Rivet installer tool! Make sure its a 90 degree one! I found one at Harbor Freight but it was not an L-Shaped 90 degree one...I could only get one of the rivets on, I would need to take off the tire to get the other ones. Also when cutting the plastic, I went conservative and cut inside the line, don't worry just cut it out right at the line it will make it easier to get the bezel in. Dont worry about the cut being clean; the bezel really covers everything. Have fun, I'm a very slow worker and it only took me like 3 or 4 hours.. I spent more time trying to find a plastic rivet tool! I also picked up one of their nifty Jeep Seat Towels to protect my leather after workouts. Awesome company, cant wait to buy more stuff! ProsFactory product, bolted right in. Works perfectly. Exact fit - straight forward installation!